The Yezidi (or Yazidi) religious minority has been lifted from obscurity for the very worst reason. They have been brought to the attention of the international world because of the cruelty and slaughter that came upon them in the form of the Islamic State. Many people heard about them for the first time and wondered who this quiet community was and why IS seemed so eager to wipe them out. It’s possible that some heard the words “devil worshippers” whispered as an excuse for the atrocities they had undergone. But is that really a true representation of their mysterious beliefs? Yezidi’s believe in one God (Xwede) who created the universe and then left it in the capable hands of his seven mightiest angels. God is uninterested in the affairs of earth, even if he is all forgiving and merciful. He has left the workings of the world to the governing of Tawsi Melek (the Peacock Angel) who is both his servant and an occasional manifestation of himself. There is some kind of idea of a trinity in the form of the Peacock Angel, Sultan Ezi (a young man), and Sheik Adi (an older man and reformer of the Yezidi faith). This idea of “trinity”, is not necessarily agreed upon by all Yezidi. The central figure in the Yezidi faith is this Tawsi Melek. The Peacock Angel is also the center of most of the controversy between Yezidi and the Abrahamic faiths. It is believed that Tawsi Melek is the Yezidi’s direct connection with God. They pray to and venerate him as God, though they do recognize a distinction between the two. Some would refer to the peacock angel as God’s ‘alter ego’. Is the Peacock Angel really Satan? In their mythology, Tawsi Melek ‘rebelled’ against God by refusing to worship Adam as God had commanded. He claimed that only God was worthy of worship. As a result, Tawsi Melek was cast out by the other six ruling angels, but then restored to his position of authority over them all when God intervened in the disagreement. He was honored for his faithfulness to God. It is this story that causes the surrounding religious sects to see Yezidi’s as worshippers of Satan. Nor is it helped by the fact that Tawsi Melek is also known as Azazil or Iblis. 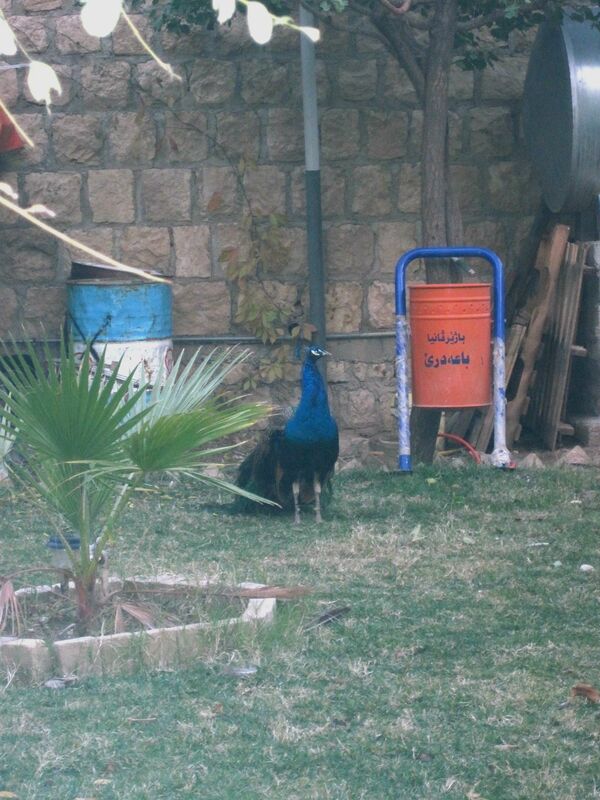 However, modern Yezidi’s are careful not to use that name in reference to the Peacock Angel, due to the huge amount of persecution suffered by them in the past. They do not see Tawsi Melek as a fallen angel, but one who has always been righteous and was wrongly persecuted. Much like themselves. They see the fallen and restored angel as their protector, advocate, and friend. He has enlightened them to the workings and ways of God, and they are grateful. What about the other six angels?? Of the remaining six earth ruling angels, three are seen as ‘mysteries’ meaning that the Yezidi themselves are unsure of their roles on earth. The other three roughly correspond to archangels mentioned in Abrahamic faiths. The messenger of God to prophets and true believers is Jibra’il. Israf’il stands before God and blows a trumpet to announce his words. Finally, Ezra’il is considered the angel of death. Can anyone become a Yezidi? There is not much said in Yezidism about sin or reconciliation to God. Yezidis believe that they are a separate people from all others that walk the earth. They consider themselves to be born only of Adam, not Adam and Eve, and therefore to marry or commune with a non-Yezidi is to lose the purity of their race. One cannot convert to Yezidism, but one can certainly and irrevocably be removed from it. They do believe in the eternality of the soul, but not necessarily in heaven. Instead, souls transmigrate or are reincarnated, presumably back into the Yezidi community. As with most mystery religions, Yezidi’s don’t have a written text that is has been passed down throughout the generations. The best guess to the time when Yezidi teachings were written down is some time in the 19th century. More recently the Yezidi religious authorities have given permission for their people living abroad to write down and even to translate some of the stories and poetry of their people. This has been compiled into what is known as ‘The Black Book’. The first half of the book contains some of their creation mythology and other stories. The second half records some of their songs of praise to God and Tawsi Melek. However, many of the traditions of their faith have been passed down through stories and songs that can only be spoken by their holy men. There is some rumor of a written holy text that is available to these men, but it is not suitable for viewing by anyone outside of that very small circle. The people must believe and follow what they are told by their leaders or leave their community. This form of passing on knowledge may be changing as more and more Yezidis move to lands outside of Iraq. Yezidis follow several rituals that are similar to other religions. They do pray, fast, observe holy days, and go on pilgrimages. However, no Yezidi is required to pray, nor are there set times of corporate or individual prayer. The most religious do pray at three set times during the day; sunrise, morning, and sunset. When they pray they must first wash their hands and face, cross their arms over their body, and lift their faces to the sun. There are no rote prayers to be said. All prayers are addressed to Tawsi Melek or Shams (the sun). Most prayers are completed while standing and are ended by kissing the hem of their garment or an east facing wall. Fasting is usually only done for three days every December. Again, this is not a requirement but something the most religious do. It is done in memory of Sultan Ezi. Those in higher levels of the religious and social strata do fast for 40 days during the summer and during the winter. How would you like to have Wednesday off? 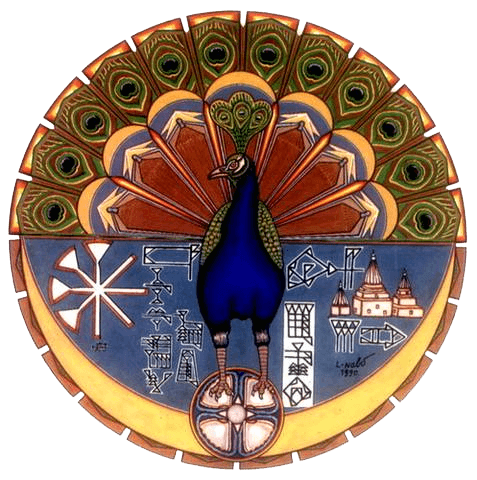 The Yezidi holy day is Wednesday. Much like the sacred days of other religions, no work is to be done on the holy day. Those who are close enough to visit a shrine would do so on this day. However, there is no formal requirement to meet with other community members or have any kind of corporate worship. Each Yezidi is to pass the day as they wish. Other holy days require pilgrimages, but as those each come with their own sets of ritual and remembrance, we will cover them later in their own section. There are six rites of passage that all Yezidi males and most females will pass through. They are haircut, baptism, circumcision, brother (or sister) of the hereafter, wedding, and funeral. There’s a first haircut party! Yezidi boys are not allowed to have their hair cut until they are six months to a year old. Tradition calls for the child’s ‘godfather’ (brother of the hereafter) to cut off a portion of the forelock and keep it. Gifts are given to the boy’s family and he is officially considered part of Yezidi society. Girls must wait to join society until they can be baptized. This is usually done when they are very young, but can be done at any time in a person’s life. The child (either male or female) is baptized in the waters of the baptistry of Lalish (the most holy shrine of the Yezidi). The only people present for the baptism are the holy man, the child, and the child’s parents. Baptism is more than just joining society, it also indicates that the child is now a servant of Sultan Ezi. This rite of passage is most closely followed by those who live near Lalish in Northern Iraq. However, some who live abroad have begun to have the holy water sent to them. Then their child can be baptized without having to make the journey ‘home’. Circumcision: before or after death? Males are circumcised twenty days after their baptism. The parents choose a kefir for this occasion. The kefir is generally chosen from a caste with which the child is not permitted to intermarry as the kefir is considered a brother to the child. Often the kefir is someone from outside the Yezidi faith. 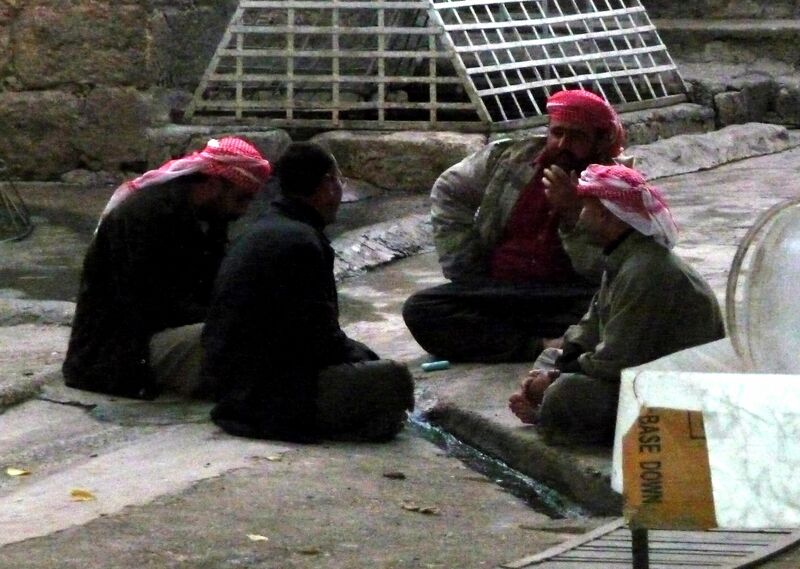 Kurdish Muslims are often chosen to be kefir in order to strengthen ties with the outside communities. Some Yezidi’s living outside of Iraq may not perform this rite until after the person has died. They believe that any uncircumcised Yezidi is an infidel and will be punished in the day of Judgement. If their adopted culture frowns on circumcision they may wait until the person’s life is over to carry out the rite. The brothers of the hereafter are chosen during a lifetime. Every Yezidi must have two to help and protect them as they navigate the rites of life. Men may only choose from the two upper classes of society, whereas women are free to choose any they wish. However, should a woman marry, her husband’s brother or sister will then become her brother (or sister) of the hereafter. Most marriages happen young (15-16 years old) and are arranged by the fathers of the couple. As with most Middle Eastern weddings, there is a bride price paid by the groom’s family and the wedding must be carried out by a holy man. The bride undergoes the application of henna, is arrayed in red and is escorted from her family home to that of her groom. There is usually a sheep slaughtered in sacrifice, followed by feasting and dancing. Marriage is only allowed within the Yezidi community, but even that is limited by castes and social standing. Marriages can occur at any time during the year, except in the holy month of April. A funeral does not denote the passing of a soul, but only the end of its time in that body. The soul will transmigrate to a new body after undergoing its Judgement Day and will have no remembrance of its previous life. The corpse is washed, dressed in a white shroud, and placed in a sarcophagus. Soil from the shrine of Sheik Adi is placed in the mouth, and the body is buried with its head facing east. After the funeral, a seer is asked by the family to determine the destiny of the deceased. If the soul is seen to have entered returned as a Yezidi the family celebrates with a feast. If however, it is found to be housed in any other living being the family offers sacrifices to ‘redeem’ their soul. For one week after this, the brother of the hereafter visits the family. His job is to console, sing praise to Tawsi Melek, and share happy memories of the deceased. After four days, an ox is sacrificed on the tomb and its meat is given to passersby as alms. There is obviously much more to the Yezidi religion than we have here. This is only part one! If you have questions you’d like to ask, please contact us through Facebook! And you can read more and support the Yezidi people who have suffered so much, below. Continue reading about Yezidi rituals and holidays HERE. Help support the refugees in Northern Iraq many of whom are Yezidi.